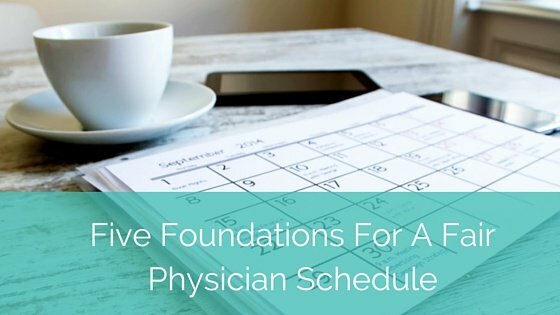 A fair and organized physician schedule is a benefit to schedulers, physicians, administrators, and patients. When physicians don’t have to agonize over their shifts or endure draining schedules, they can actually focus on their jobs–caring for their patients–who, in turn, arrive and leave satisfied. Physician schedulers, knowing the medical staff is content, are then able to focus on the same goal. 1. A collaborative relationship between the physicians and scheduler, and group discussions about guidelines. 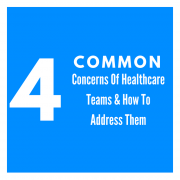 In order to create a fair schedule, the medical staff needs to discuss how they define fairness. The concept is defined in different ways for different groups, so a conversation is important. A new scheduler, ideally, should sit down with the staff and have a discussion with them about some scheduling priorities: How far do we need to make the request deadlines? What are some guidelines that a majority of us can agree on? 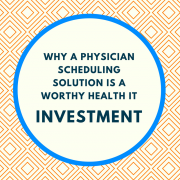 In addition, schedulers shouldn’t necessarily take everything that the physicians say to heart. 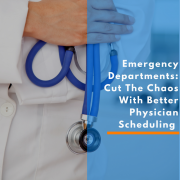 They should listen, but still consult more authoritative resources on scheduling, because, in the end, the schedule has to be about everyone–physicians, schedulers, and patients. Schedulers should keep in mind, though, that satisfying everyone may not always be possible. 2. Physicians’ personal preferences should be taken into consideration, within reason. Personal preferences are definitely a big factor in physician scheduling. For example, Physician A has to have every other weekend off to be with his children, or two physicians are married and either want to work the same shifts, or they don’t. Early morning shifts directly following late night shifts should be avoided so that physicians don’t experience burnout. 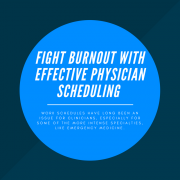 Schedulers have to be able to account for those details, which tend to be important factors for the physicians’ ability to balance work, family time, and leisure. Accommodating these variables into a physician schedule can be difficult, but worthwhile because it results in happier staff. Generally, that means higher motivation and a reduction in the possibility that a staff member leaves the group. 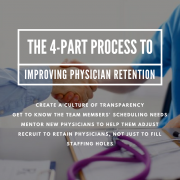 If a member does leave, the group incurs a significant cost in terms of recruiting a replacement and credentialing that person. Recruitment alone can cost a medical organization at least $60,000 to $80,000 per physician, with agency and interview expenses factored in. Keeping these preferences in mind can help improve retention and save the hospital a fair amount of money. 3. A reliable and efficient way to create the schedule. 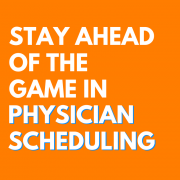 There are several options available for physician scheduling, from pen and paper to automated scheduling to software. For a small staff, a simple Excel sheet may be efficient, but it isn’t reliable because it can become outdated or the formulas can break. With automated scheduling software, an algorithm is used that often takes schedulers 90% of the way to their goal but leaves a 10% hole. These are spots on the schedule that the computer algorithm couldn’t figure out. For the scheduler, filling in that last 10% may sometimes be harder than building the entire schedule from scratch! A scheduling solution is a great place to start, but schedulers have to be strategic and make sure that the chosen software can accommodate how their group defines fairness, and is able to grow along with them–if preferences need to be changed or new physicians have to be added, the software should allow for that. The scheduling solution should also have features to help with possible staff conflicts. 4. A method of tracking shifts and work totals to ensure the schedule is well-distributed to avoid conflicts before they arise. If a disagreement comes up, a great way to resolve it is by tracking, which is a feature available with scheduling software. 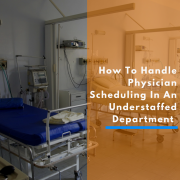 If, for example, a physician thinks that he/she is working too many weekend shifts, the tracker allows the scheduler to go back and show that physician their complete schedule. On the opposite end of the spectrum, physicians shouldn’t be under-scheduled because less shifts mean less compensation. The software can also generate reports to show the group average for all scheduled staff to help in these situations. Properly tracking the less desirable work benefits the scheduler and staff, because the gradual accumulation of unfair workloads is avoided entirely. 5. Proofread and revise the schedule to ensure all bases are covered. After the schedule is built, what items are the scheduler double- and triple-checking for within it? 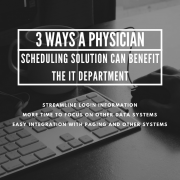 Keeping track of those items and eliminating errors is made significantly easier with physician scheduling software, but proofreading and revision is recommended for any method used by a scheduler. Having another administrator revise again before posting may also help create the best schedule possible. Producing a quality schedule should be the ultimate goal, not simply filling in the necessary shifts for a department. Do you have any suggestions for successfully building a fair schedule? Comment below and let us know!